It’s almost at the end of August, but still quiet here. Schools do not seem to start until mid-September, so the buses are intermittent, the metro pleasantly spacious (quite odd! ), and many shops are still closed. The worst heat may be over, and I stocked up on vegetables on my way home, noting the usual accumulation of older men outside the ferramenta (hardware store), the bar and their venue with the yellow & red door, for the Rome football club. Very location and time specific, these gatherings. The older ladies never seem to congregate in quite the same way. 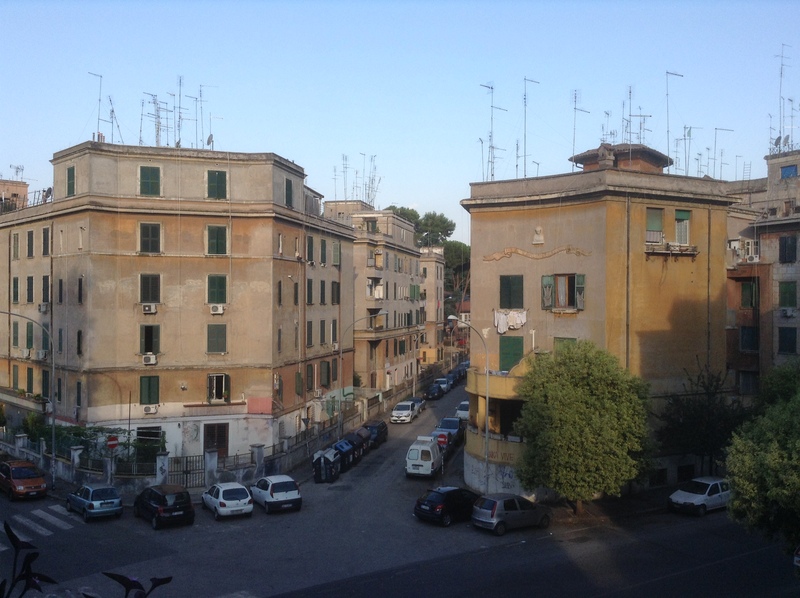 Regardless of age, people lean out of their windows in the evenings, often in their undershirts, to catch a whiff of a breeze, to see what is happening in the piazza (not much), and to toss comments back to someone inside the other shuttered rooms. 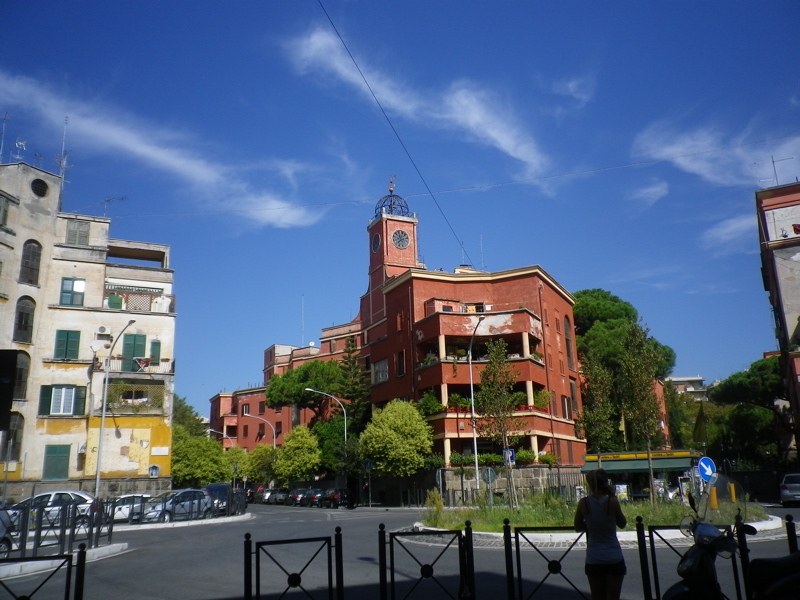 The Albergo Rosso in Garbatella. Almost tandoori red? 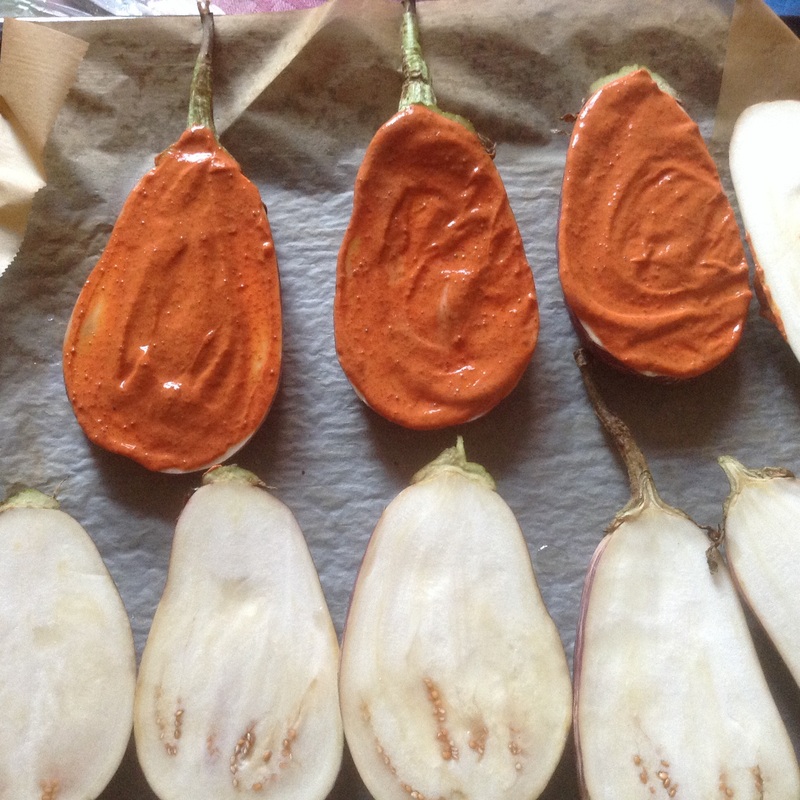 I’d seen a recipe like this recently calling for aubergines and curry paste, which I did not have, but I excavated a really old jar of tandoori-barbecue spice powder of dubious vintage, which worked just fine. You might need less spices if yours are fresher. Taste them to see. At least with the heat relenting, it is possible to cook again, which is wonderful! Heat your oven to 220C. Slice the aubergines lengthwise in three. I took off a little on either side so the slices would lie flat. Brush the bases with a little olive oil or sunflower oil, so they do not stick. Stir your spices into the yoghurt, and spoon some over each aubergine slice. Bake at 220C for a couple glasses of wine — until they are soft — maybe 30 min? Separately, boil your rice. Just before it is done, toss your chopped onion and chopped bell peppers on top, so they steam just a bit. 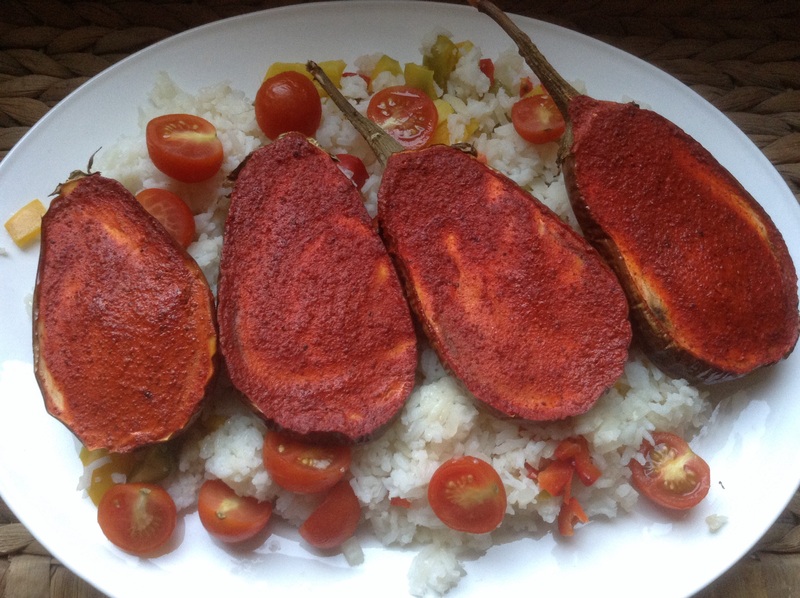 Spread the cooked rice out on a serving dish, add some halved cherry tomatoes, and top with some of the baked aubergines. I could have sliced these, to faciliatate diner in the sofa, but that would look quite messy. Tuesday is TV night, when a friend comes over, so we enjoyed this with “Alpha House” and “Dag”, the latter a dark Norwegian comedy. After months of Scandi thriller noir, it was a nice change! 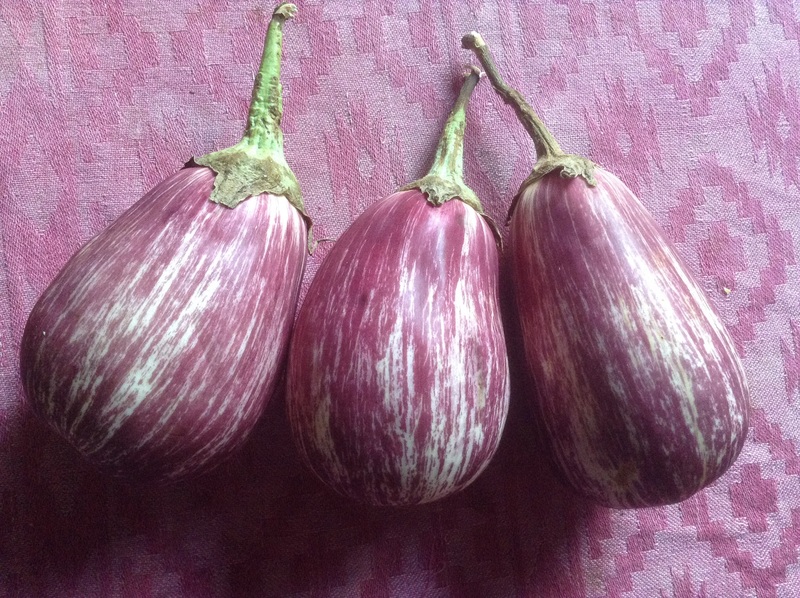 This entry was posted in food and tagged aubergines, rice, vegetarian on August 25, 2015 by krumkaker. Now that the worst of the summer heatwave seems to be subsiding here in Rome, life is improving. I might actually cook something soon, after weeks of proscuitto e melone, caprese salad, Greek salad, anything that did not require cooking. What I have been enjoying are the articles in the Rome news about the heatwave. Like this: Il criminologo e gli effetti del caldo, where a criminologist advised us to avoid places with many people, as the aggressive tendencies increase with rising temperatures. Of particular interest were the dietary recommendations for a heatwave, in another article. Eat fruit and veg, of course, avoid mayonnaise, but drink warm or tepid beverages rather than iced drinks, as iced drinks may create alterations of the mucus of the stomach. I daringly continue to drink iced tea and iced coffee, wondering what havoc I may be causing internally. 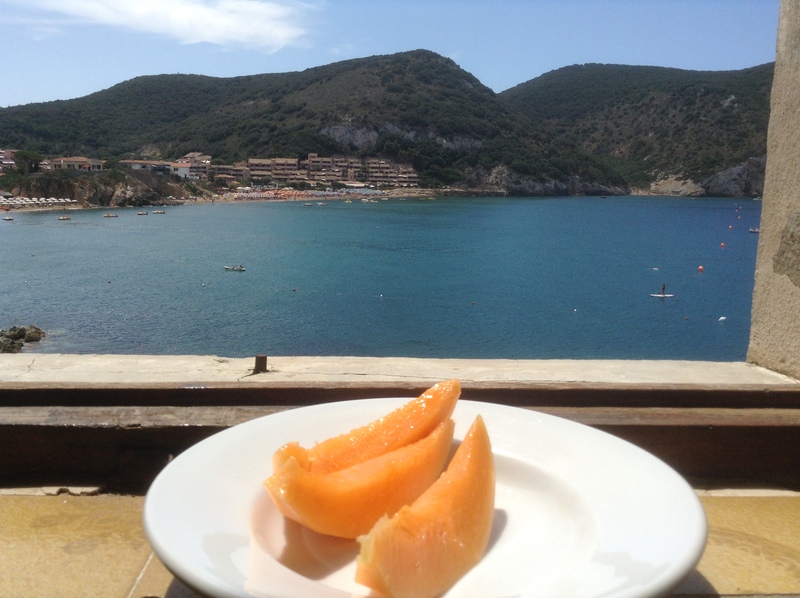 We had a few days by the sea, at Isola del Giglio in Tuscany, sharing a holiday flat with friends again, with a limited but OK holiday kitchen. One person was allergic to eggs, to I thought this was the perfect time to make vegan meringues with chickpea brine (also called aquafaba, trendy this summer). I have been reading about them, and optimistically packed my hand mixer to try. Indeed, the chickpea brine and sugar whisked up amazingly! The chickpeas themselves we heated with some raw-el-hanout spice mix and olive oil, and sprinkled over a green salad. Whisk until airy and stiff, bake at 250C on baking parchment. All fine so far. Unfortunately I had forgotten how unforgiving the holiday oven was: open gas flames, licking at the tray from below, which soon scorched the meringues. Still edible: we salvaged these not entirely black on the base, and served them as a do-it-yourself summer dessert: halves of fresh apricots, with cold vanilla yoghurt spooned over, and caramelised vegan meringue shards crumbled over the top. Definitely to be tried again, maybe next time with more sugar and longer whisking, and an oven with more all-over heat. This should be possible to conquer, and I love the idea of an egg-free pavlova. 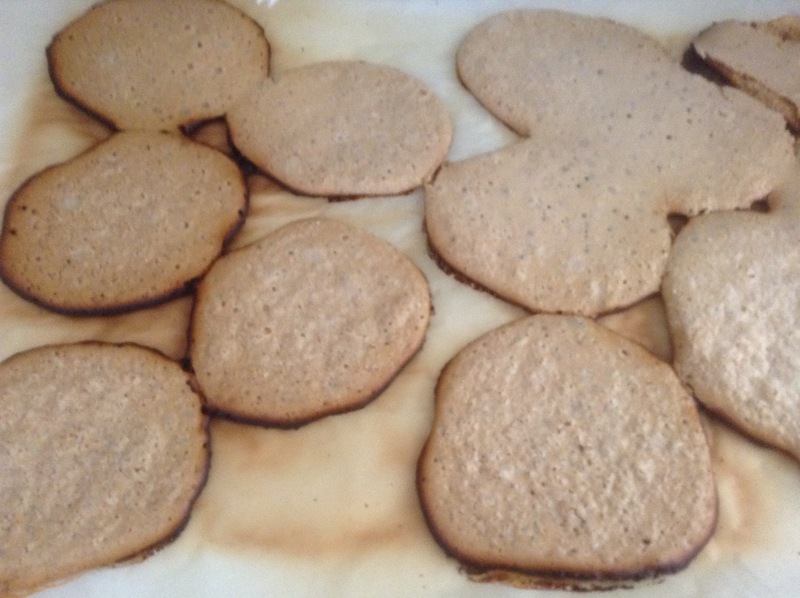 This entry was posted in baking, food and tagged chickpeas, meringue, summer on August 20, 2015 by krumkaker. 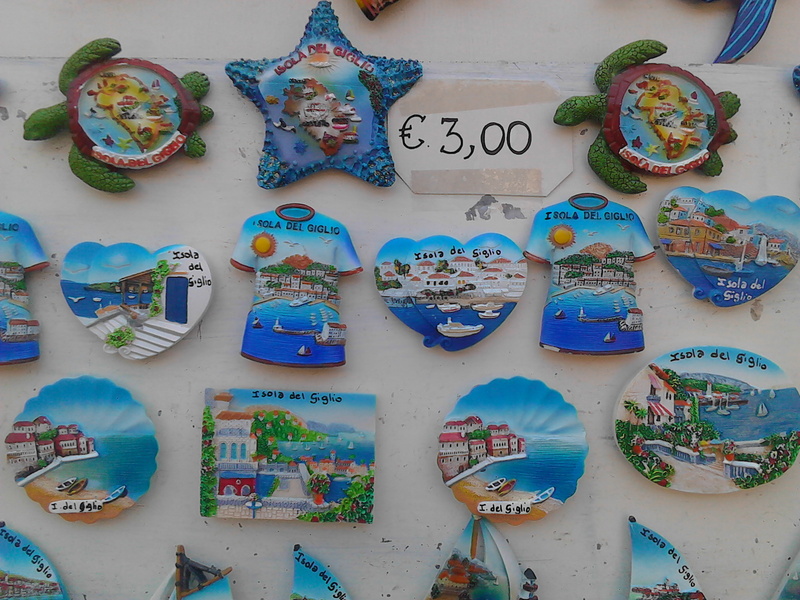 Yesterday was Ferragosto, an Italian holiday and the peak of summer. It goes back to Roman days (18 BC, says Wikipedia) and it’s also the Assumption of the Virgin Mary. Our neighbourhood was already quiet, but it’s been just deserted this weekend. Lots of parking, hardly any laundry out, and we can actually hear the gentle swoosh of birds flying by. And it rained, so the temperature dropped under 28C! After weeks of relentless heatwave after heatwave, it is just wonderful. I baked bread, sorted clothes for the refugee collection (there is a camp at Tiburtina), tidied away post-guest bed linen piles, and made a cake for the first time in ages. Spurred by the temporary drop in temperature, I have been sorting through my baking cupboard. Why do I have four boxes of dark syrup from Norway? And three boxes of potato starch? And an unreasonable amount of cream of tartar. If you have a mortal fear of expiration dates, please look away now: I also unearthed three rolls of marzipan, the oldest from 2012…. Still edible, so into this cake a wedge of the vintage marzipan went, with precious Norwegian rhubarb. Pre-heat the oven to 210C. 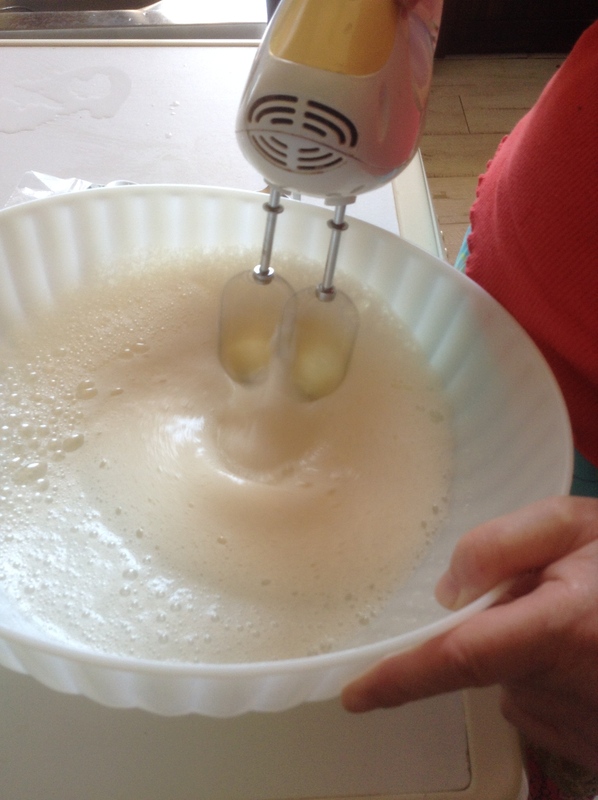 Whisk eggs and sugar. Sift in flour and baking powder, with a pinch of salt. Add milk and melted butter, slightly cooled. Line the base of a 24 cm cake tin with a circle of baking parchment. Pour half the batter into the prepared cake tin. Now, take your chopped rhubarb (thumbnail sized pieces) and crumble the marzipan over, then pour the rest of the batter over it. Bake in the middle of the oven for 45 min or so at 210C, until the cake is nicely golden. 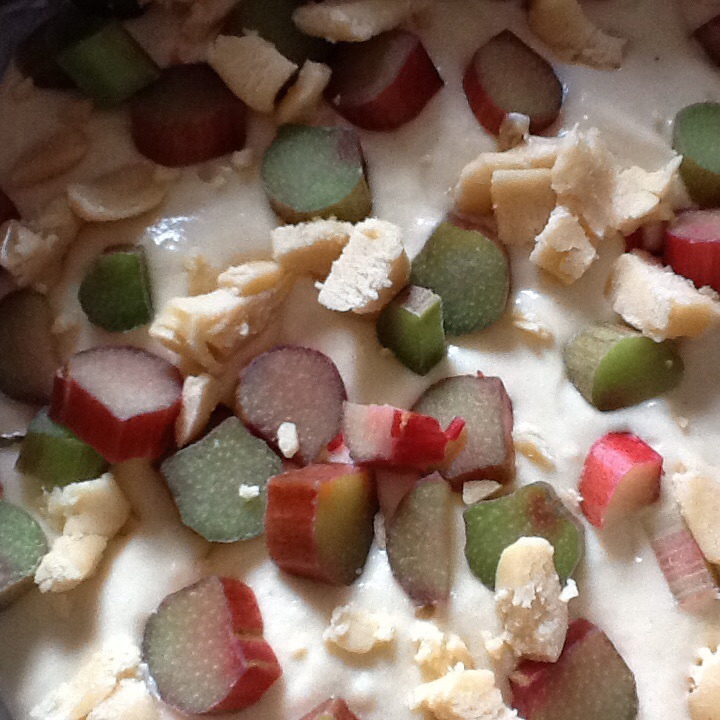 Notes: I had been planning to make rabarbragrøt, a rhubarb compote/thickened dessert soup, but then I saw the marzipan and swapped to cake. Compote might be better with frozen rhubarb anyway (that might be a bit soggy in a cake). I thought it might be a bit tart with the rhubarb added like this, unsugared, but it’s actually OK with the marzipan crumbled through, that complements the tart little pockets of rhubarb. I had made an apple/marzipan cake earlier, using a 20cm tim, and this is a flatter variation of that. 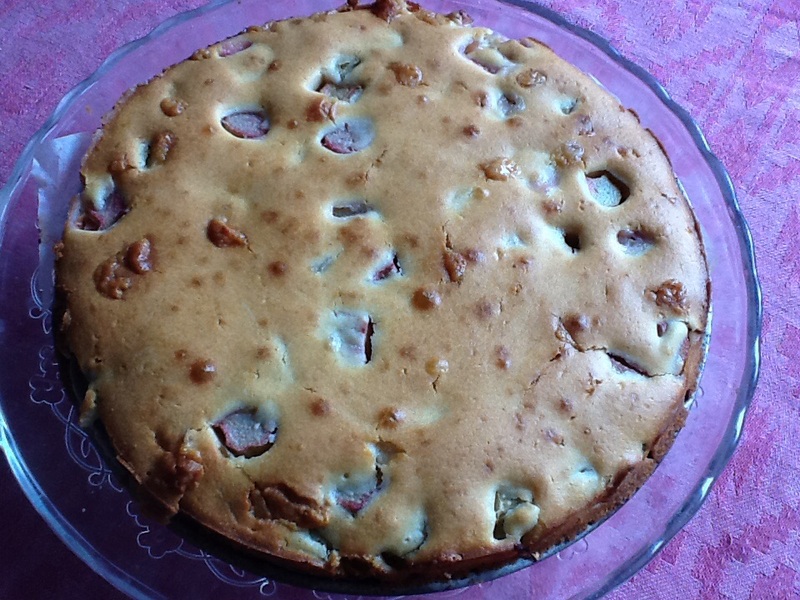 This entry was posted in baking, food, fruit and tagged cake, marzipan, rhubarb on August 16, 2015 by krumkaker.